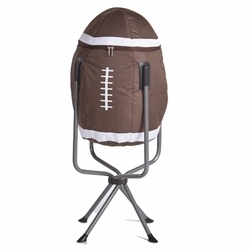 The Vulcan is a Picnic Time original design and the ultimate tailgating cooler and propane barbecue set in one! Don't be fooled by other similar looking items on the market. Only Picnic Time's Vulcan features a PVC cooler that conveniently nests inside the compartment that houses the portable propane BBQ. 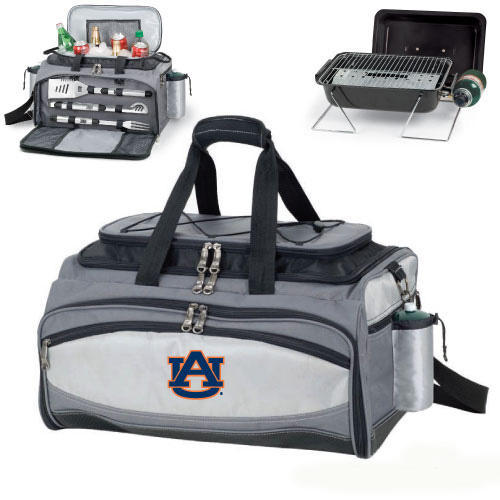 The tote can carry the BBQ and a fully-loaded cooler at the same time! 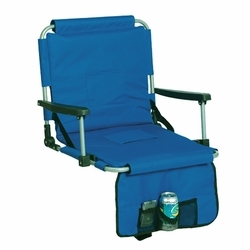 This patented, innovative design features a large insulated and fully-removable, water-resistant cooler that measures 16 x 8 x 7" and holds up to 24 12-oz soda cans. 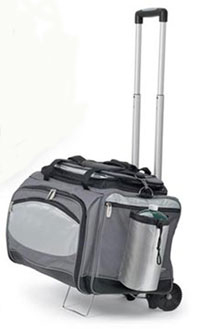 Unzip the cooler from the main tote to access the portable propane barbecue grill that's included. 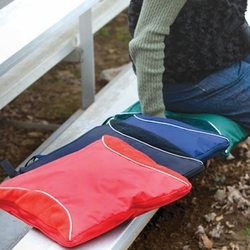 The cooler has two carry straps on either side, and features a mesh pocket on the interior lid that fits a large ice pack/gel pack. The Vulcan also features an adjustable shoulder strap with comfort pad, a reinforced waterproof base, three large zippered exterior pockets to store personal effects, 2 drawstring pockets to hold propane tanks (not included), padded carry handles, and a stretch cargo cord on the top of the tote to carry a blanket or towel. 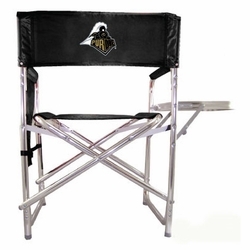 Don't be caught without the Vulcan at your next tailgating party!